The brochure Guidelines for Firewise Landscaping in an Urban Setting was created specifically to help the residents of Ashland to create Firewise landscapes around their homes. In an urban environment, neighbors have to work together to provide the 100-200 feet of defensible space around homes that will increase home survival during a wildfire. Home loss due to wildfire is not inevitable. 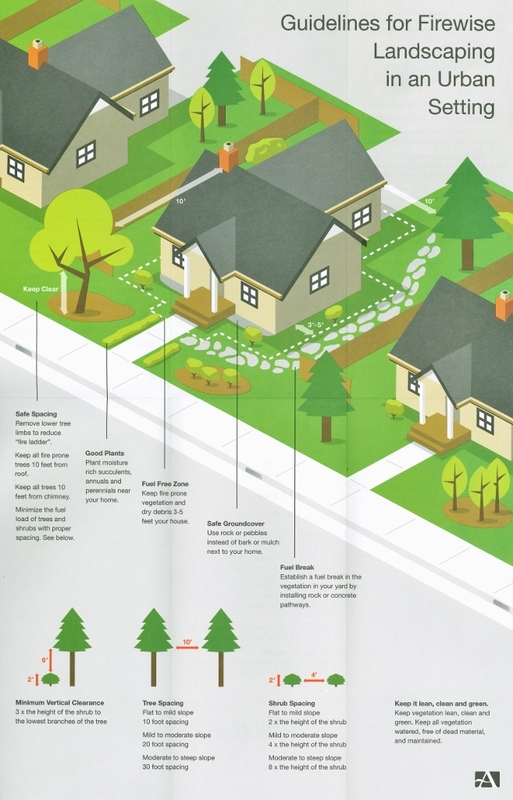 Following the science-based standards in this brochure will help Ashland residents manage their home landscapes in a way that can slow down the rapid spread of fire and decrease fire intensity around homes, helping firefighters and themselves. Please utilize this booklet about fire-resistant plants when transitioning to a more FireWise landscape around your home.